DOUBLE GIVEAWAY: Two Year Blogiversary and Reaching 1000 Followers! It is with great and humble joy that I am writing this post today in celebration of two wonderful years of blogging. I also recently reached 1000 followers on Bloglovin', so you can just imagine how happy this girl is right here! If you would have told me at the start of my blogging journey that I would be where I am today, I for sure wouldn't have believed you. Blogging has definitely changed my life for the better, and I am so thankful for each and every one of you for following along. Your sweet comments and constant support are what make this hobby and passion of mine worthwhile. This past year of blogging has been nothing short of amazing. I have gotten to work with great companies reviewing their products and I even had the opportunity to attend a couple of beauty launch events. Most importantly though, I have gotten to know a ton of new bloggers and readers, and that my friends is what I cherish most. So I thought to myself, what better way to ring in these two milestones than by hosting a double giveaway? That's right, there will be two lucky winners! Up for grabs is a Too Faced Beauty Blogger Darlings Kit and a Smashbox Try It Kit - both come with a handful of deluxe-size products (many of which I have had my eyes on for a while now) that I know will be well-loved. I like that they both include face, lip and eye products so there is a diversity of products to play with! Watch me pour my little heart out (and discover exactly what is included in each kit)... Can you tell I'm excited? There are also a ton of other entry options such as following me on my various social media, all of which will be unlocked once the first three entries are completed. This giveaway is international, meaning anyone can enter! It will run for one month, ending on June 30, 2014. For full details, please read the Terms and Conditions at the bottom of the Rafflecopter. The validity of each entry will be verified. Good Luck! I would like the smashbox kit please! 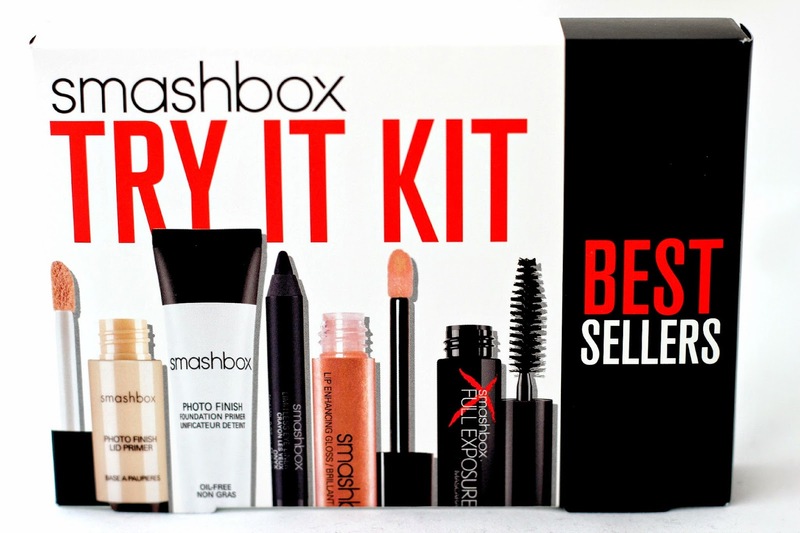 I would totally love the Smashbox Try it kit! I've seen it selling before but I've skipped so many kits because I'm trying to save! I would like to win Smashbox Try It Kit! Congrats! I would really like the Smashbox Kit. You have a great blog, I want to invite you to link up & share your wonderful blog on the TGIF Blog Hop I host weekly on my blog. Hello & Super Big Congratulations!! I would most like to win the Smashbox Kit. Only because I've never tried any of their products. I love Too Faced products too. Thank-you for this generous giveaway!! I would most like to win and try the Smashbox Try It Kit. I've only tried a few items from Smashbox over the years and this kit would be awesome way to try out a few more products available from their line. Congrats on your two milestones !! Would Like To Win Smashbox try it Kit ! Congratulations on Your 2 milestone!!! I would be thrilled with either one of these kits! Thank you so much for offering such a lovely and generous giveaway. The smashbox try it kit. I would like to choose Too Faced kit If I was lucky enough. 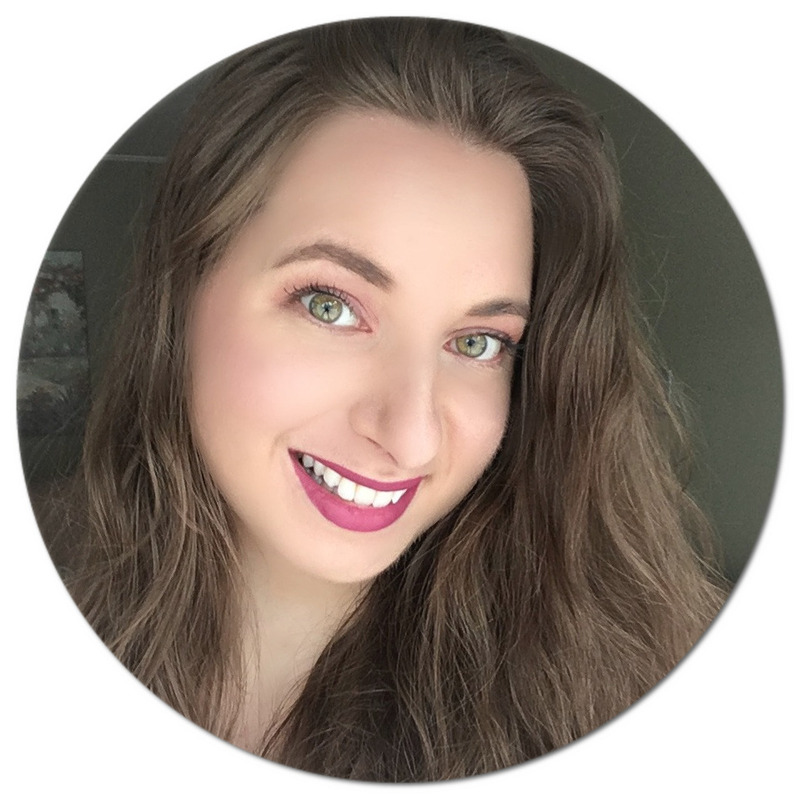 Congratulations on your two-year bloggeversary Natalie! Congratulations Natalie! I'm so glad I got to know your blog! I would love to try the Smashbox kit! Thank you for the opportunity! Too faced, without a doubt!!!! I'd most like the win the Smashbox Try It Kit. 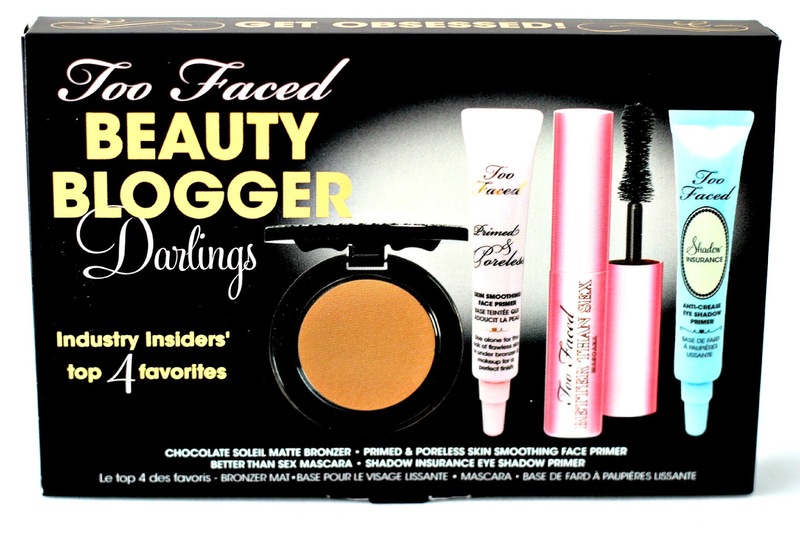 If I had the chance to win , I d love to trytheToo Faced Beauty Blogger Darlings Kit . I would love to win the Too Faced kit! I'm new here . . & congrats, lol ! (: Both kits are cool, but I like the smash box. I would most like to win the Too Faced try it Kit! 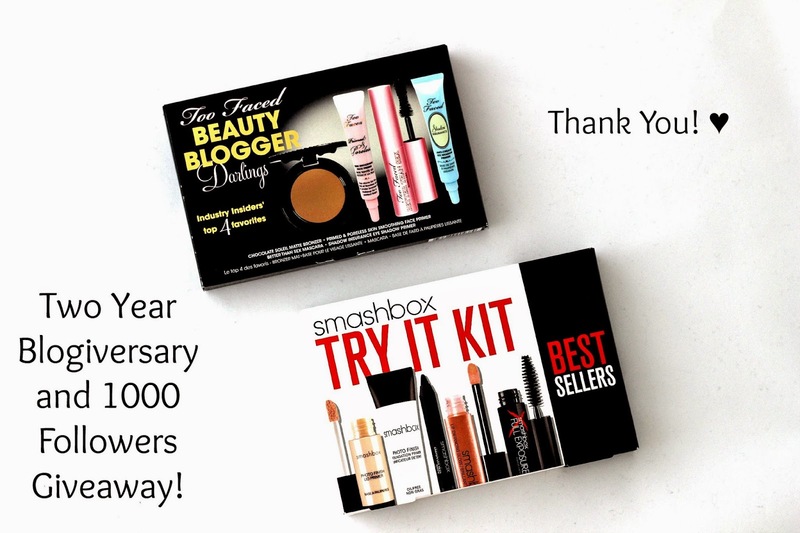 Smashbox Try It Kit I would most like to win..
Hello pretty blogger! Thank you for the giveaway and being generous to your reeaders and followers. :) I would love to win the smash box kit! :) Thanks and More powers! Congratulations on your two year blogiversary and thanks for the giveaway! Both prizes are great but most excited to win the Smashbox set. So Nice! I Dream of trying The smashbox set! I'd most like to win the Smashbox Try It Kit, because I like their primer but it's the only product of theirs I've tried. I would like to try the Smashbox kit. i really like Too Faced Beauty Blogger Darlings Kit !!!!! I'd love to win the Too Faced kit! Thank you so much for having this giveaway! I'd love to win the Too Faced kit! The TOO FACED Beauty Blogger Darlings. I'd love to try the Smashbox kit. Happy 2nd blogiversary and congrats on the milestone! I'm honestly torn between which kit I would prefer to win. I love both brands, but have not tried many products from either. i would like to win the Smashbox Try It Kit! I would love to win Smashbox Try It Kit! Both sets look great. But if I had to choose, I'd love to win the Smashbox kit. I love the Too Faced products I have and have heard great things about the ones in the box, and have heard nothing about the other, so I sort of lean towards Too Faced. However, I love that they have primers which is something I've really been needing to try, so either one would really be fabulous! I'd like the Smashbox kit!! I'd like to win too faced kit. thank you a lot. I'd like to win the too faced kit thank you. I'd like the Smashbox kit the most because while I've never tried the brand, it is one of my mom's favorites. I would love to win the Two Faced kit! I would most like to try the Too Faced kit. I'd love to try either, but the Smashbox one looks great as I've never tried anything from that brand before! Oh god that's an impossible choice... maybe the smashbox one by a smidge! I'm most excited to win the Too Faced Beauty Blogger Darlings Kit . Congratulations!! I would pick Too Face Beauty Blogger Darlings Kit!! Thank you for the giveaway!! I would LOVElovelove the Smashbox kit! congrats! I would like to win Smashbox Try It Kit! Congrats on two years of blogging and 1000 followers on Bloglovin! The Smashbox Kit looks amazing. Too bad I wasn't able to join this!